ESET, a global leader in cybersecurity from the European Union, today announces the launch of its new suite of comprehensive cybersecurity products and services designed to provide enterprises with advanced solutions tailored to proactively detect threats and effectively protect their devices and endpoints. As reported by Forrester, buyers want an “endpoint security suite that consolidates capabilities and minimizes complexity when possible.” ESET’s new line of cybersecurity solutions meets this demand and delivers more. Within the new comprehensive suite, ESET is introducing multiple of new cybersecurity services along with endpoint protection solutions. The brand-new offering, ESET Enterprise Inspector, is an Endpoint Detection and Response (EDR) tool, which provides real-time data from ESET'S award-winning Endpoint Security platform. This solution is fully customizable, enabling customers to tailor the solution to their needs, and it provides vastly more visibility for complete prevention, detection and response against all types and intensity of cyber threats. To harness the maximum potential of ESET’s EDR tool, the new suite includes targeted cybersecurity services like ESET Threat Hunting, an on-demand forensic investigation tool providing detailed accounts of specific alarms or events, and ESET Threat Monitoring that offers around-the-clock monitoring of all Enterprise Inspector data for all types of threat alerts. Both ESET Threat Monitoring and ESET Threat Hunting are compatible with ESET Threat Intelligence, which provides global insights on specific threats and attack sources which are verified by ESET research & development centers and ESET LiveGrid® with 110 million sensors on specific threats and attack sources. To create the most compact solution on the market, ESET’s EDR tool is complemented by ESET Dynamic Threat Defense, an off-premise cloud sandbox providing rapid analysis of zero-day and ransomware threats before they reach the network. 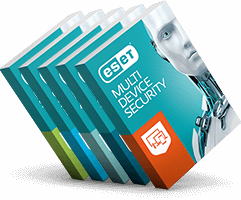 ESET will also be introducing ESET Security Management Center, the successor of the acclaimed ESET Remote Administrator. This enhanced console provides complete network visibility, full security management and reporting from one control panel while adding important complexity-minimizing elements to the whole suite. ESET’s award-winning security solutions are made to address the needs of the IT security decision makers and offer a compact suite that can be deployed independently or together with existing ESET products – in a variety of bundled solutions – to fit the specific requirements of individual customers. For more information about this offering, visit our website. If you are interested in bundled solution, contact your regional partner or reseller here.